Judith Phagan has been a member of the St. Joseph’s College faculty since 2001. Prior to working at SJC, she taught at St. John’s University, Empire State College, Five Towns College and Long Island University. At SJC, Dr. Phagan is active in incorporating multiculturalism into the campus. She co-organized the 2008 SJC alternative winter break in Nicaragua, organized a global exchange teach-in with guest speakers, Dr. Juan Manuel Sandoval and photojournalist David Bacon and she was a founding mentor for St. Joseph’s chapter of Amnesty International. She also instituted the first Department of English service-learning class, Analytical Writing. Dr. Phagan has participated in and moderated several lectures on Native American literature and composition theory. 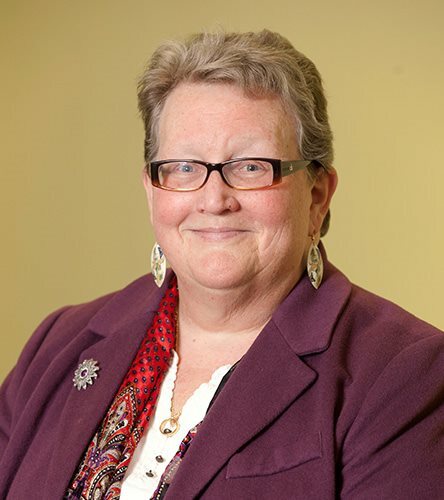 In 2009, she presented “Redesigning and Indigenizing the English Composition Classroom” and moderated a panel on Alternative Approaches to Teaching Composition at the College English Association Conference in Pittsburgh, PA. In 2008, she was a panel member on American Indian Literature at the Western Social Sciences Association Conference in Denver CO, and in 2007, she presented “Storytelling as Healing Medicine: Ceremonies at a Crossroads” to the College English Association in New Orleans, LA. She is a member of several organizations, including the Modern Language Society, College Association, National Council of Teachers of English, the National Geographic Society and numerous environmental groups.